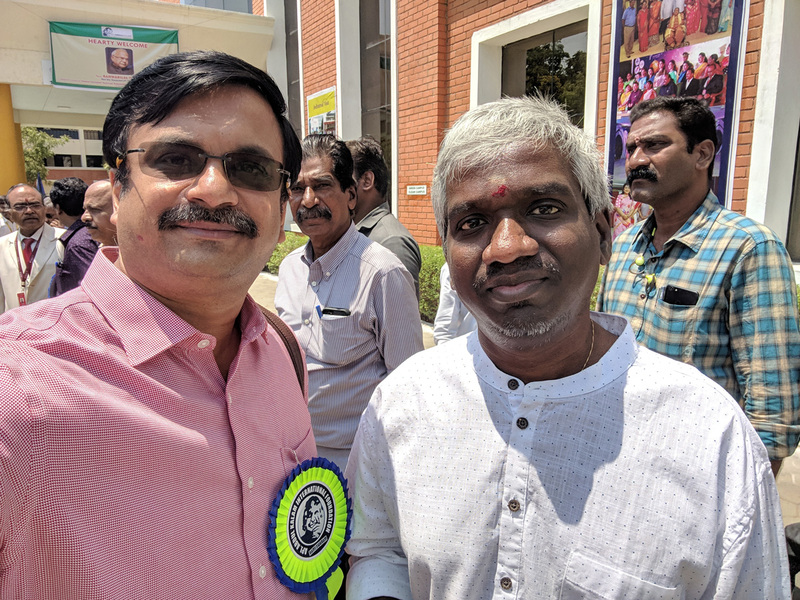 Kombai S Anwar organised a walk today, on The Nawabs of Arcot. 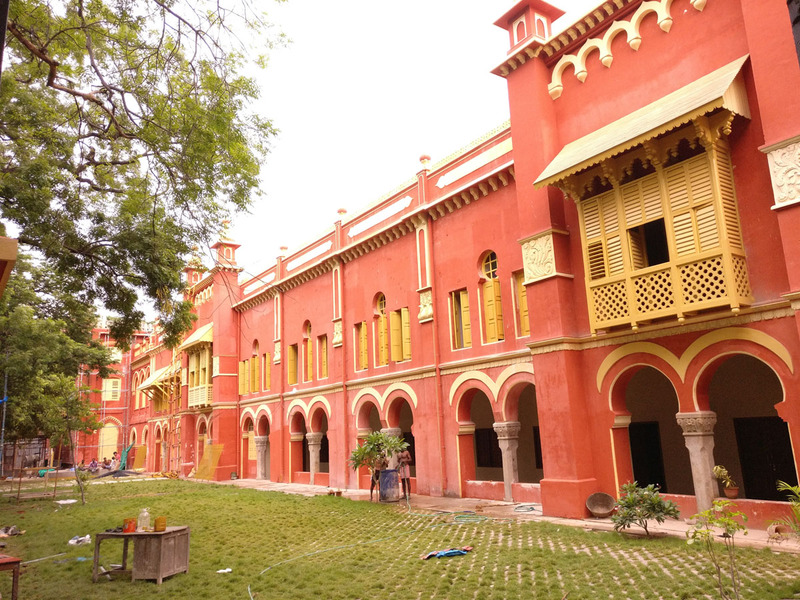 The Nawabs ruled much of Tamil Nadu and adjacent regions in the 18th Century before moving to Madras in the 1760s and building their palace at Chepauk. 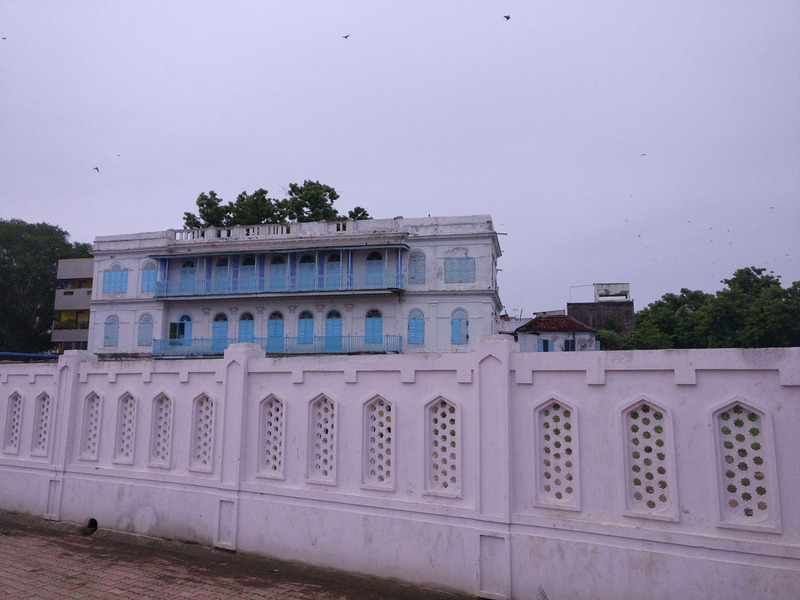 The Nawabs belonged to three successive and different lineages: Zulfikar Khan and Daud Khan Panni, the original appointees of Aurangzeb, followed by the Nawayati Nawabs, prominent among them being Sadatullah Khan after whom Saidabad was named, which later became Saidapet. In the 1740s, the Wallajah line of Nawabs came into being. 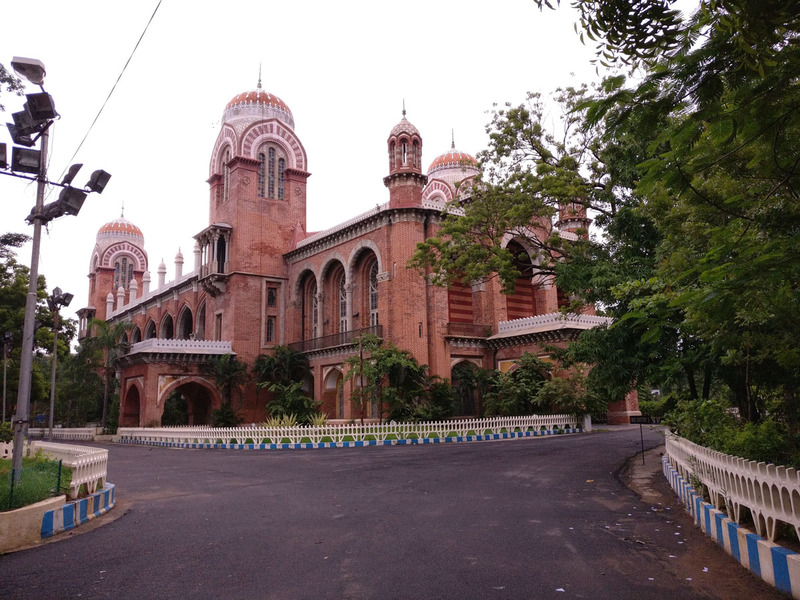 The walk began outside Madras University’s Senate hall, proceeding to Chepauk Palace (now inside PWD department’s campus), Walajah Big Mosque, Big street Mosque and then to Amir Mahal (current residence of the Arcot Nawabs). 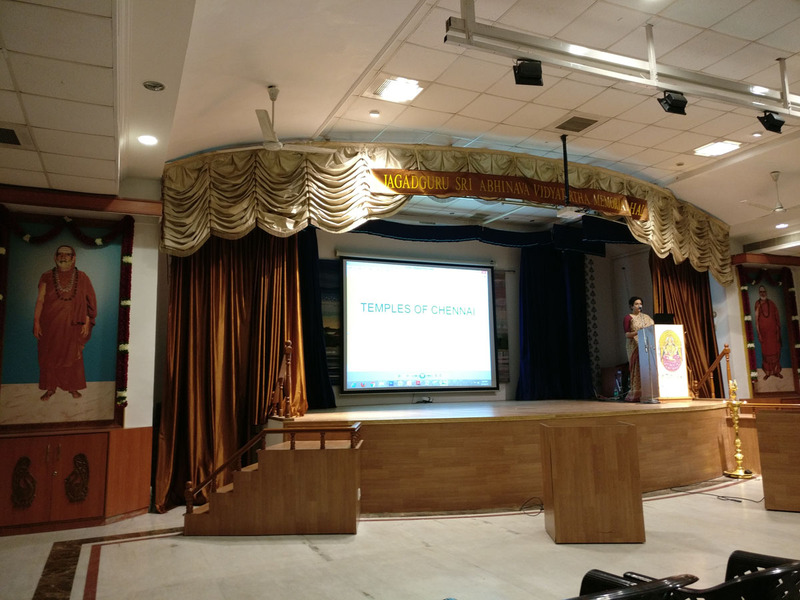 Anwar gave an introduction to Muslim’s in Tamil Nadu – who have been here for more than 1500 years; The early Nawabs were followers of Shia branch of Islam and the latter were followers of Sunni Islam. Pre colonization Tamil’s were not an agro economy as generally believed to be, but they were a marine power and the economy benefited immensely from trade across shores – exports of Pearls from Pandian country and Pepper from Kerala were of great demand in Rome; in fact, Roman senators complained that their women used too many Indian spices and pearls, which drained the Roman Empire of precious metal. 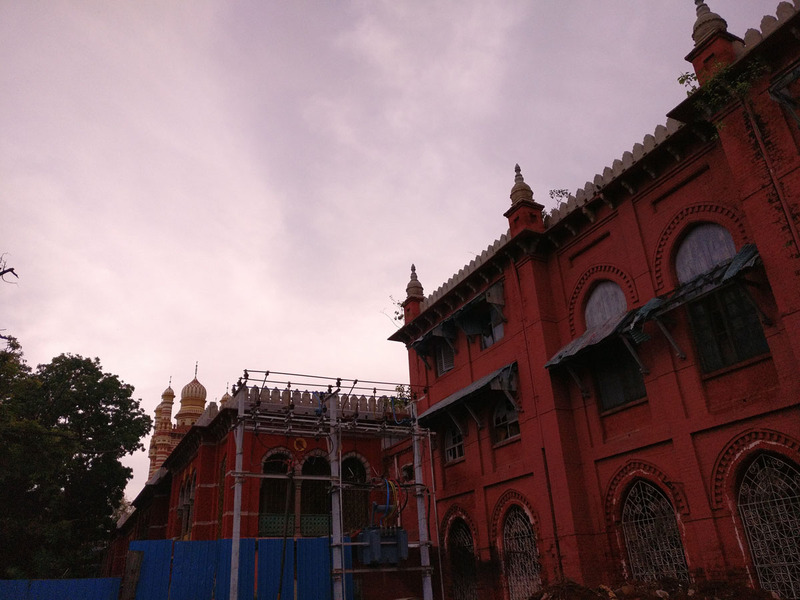 The Chepauk Palace (over the centuries have been in ruins, thankfully now it is being renovated by the State Government) was build around 1768 when then Nawab wanted to reside in Madras. It was designed and constructed by a British Architect Paul Benfield, a British Engineer & Contractor. 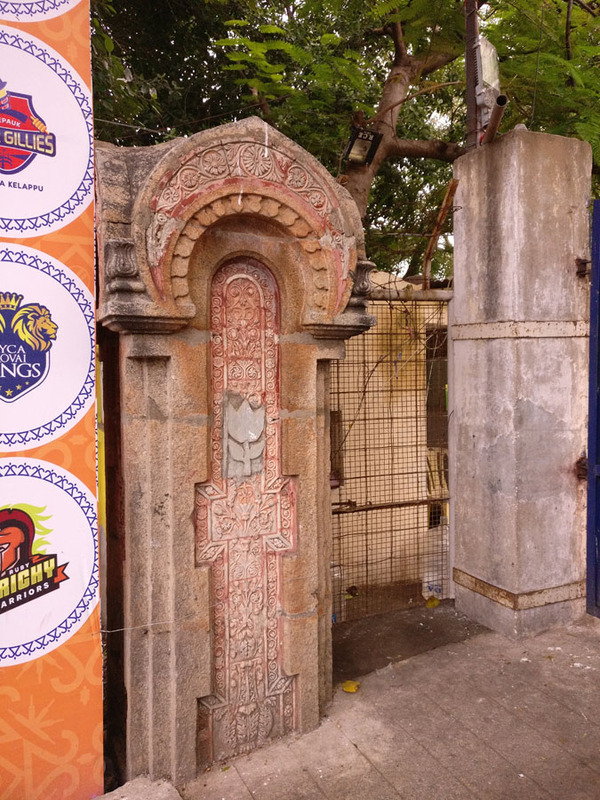 The columns from the arches near the gates of the original palace can be seen today near the entrance to TNCA Club (Pattabiram gate of MA Chidambaram Cricket Stadium). The legacy of Arcot Nawabs begins with the siege of Gingee Fort in 1690s by Aurangzeb’s forces for over six long years. The town of Arcot came in being mainly to serve the needs of the Mughal forces during the siege of the fort. Aurangzeb, the Mughal Emperor, in 1692 appointed Zulfikar Ali, Nawab of the Carnatic, with his seat at Arcot. The Nawab Saadet-allah of Arcot (1710-1732) established his independence; his successor Dost Au (1732-1740) conquered and annexed Madura in 1736, and his successors were confirmed in their position as Nawabs of the Carnatic by the Nizam of Hyderabad. After the death of Nawab Mahommed Anwar-ud-din (1744-1749), the succession was disputed between Mahommed Ali and Husein Dost. In this quarrel, the French and English, then competing for influence in the Carnatic, took opposite sides. The victory of the British established Mahommed Ali in power over part of the Carnatic till his death in 1795. 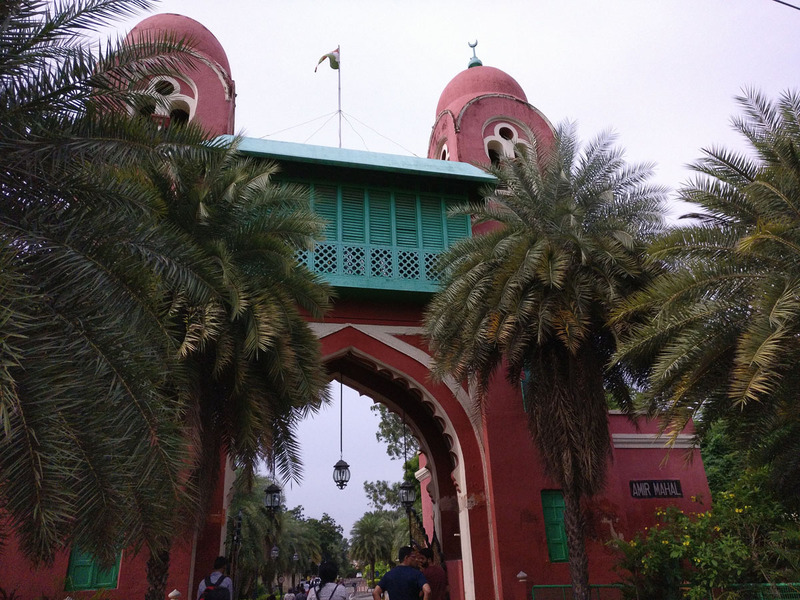 Muhammed Ali Khan Wallajah was the most celebrated amongst the nawabs, who established many educational, religious (across religions) places during his reign. He was conferred the title of Wallajah by the British in recognition of his support during the Siege of Pondicherry (1760). In 1801 all the possessions of the Nawab of the Carnatic were taken over by the British by a treaty. 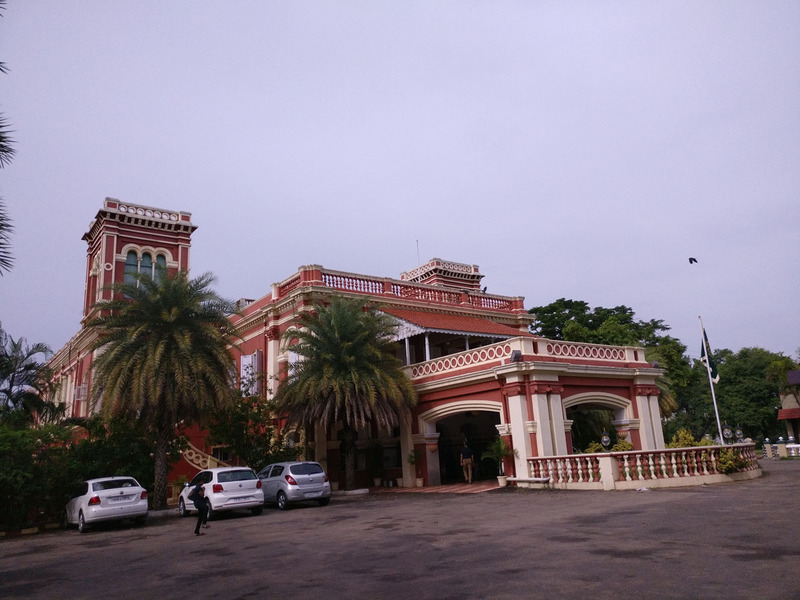 That provides even today, certain privileges and benefits to the Arcot Nawabs in Chennai by Tamil Nadu state that is not available to other princely states of India. 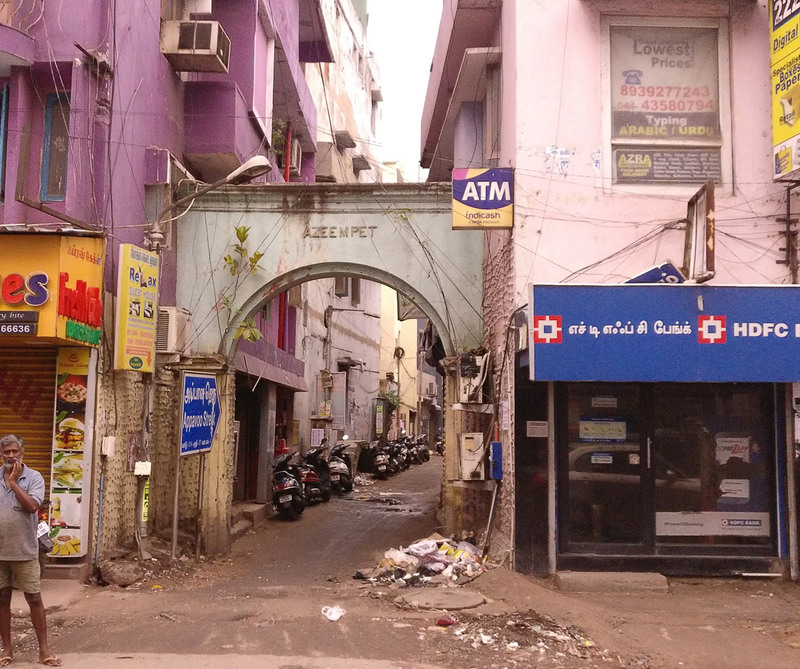 The arch gateway ‘Azeempet’ on Appavu Gramani Street off. Triplicane High Road has a fascinating history. 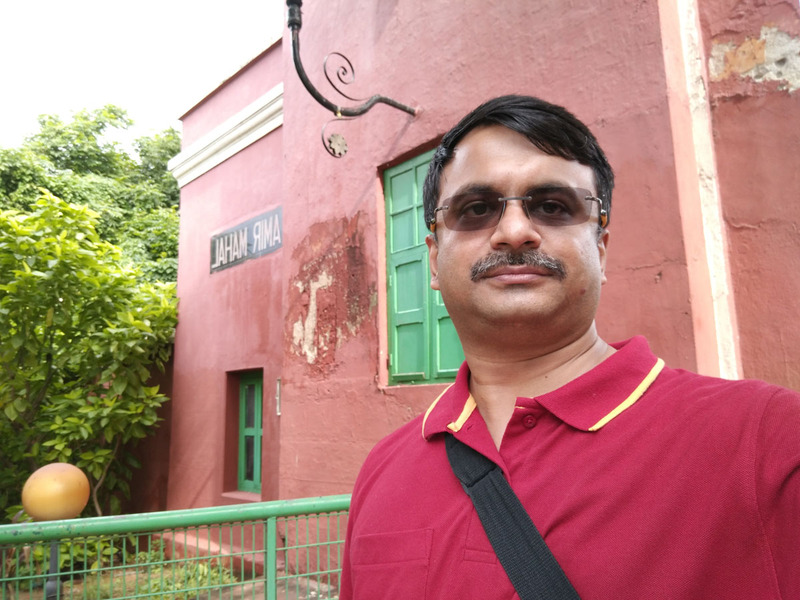 It was once the entrance to the palace of Sultanunissa Begum, sister of the third ruler of the Wallajah dynasty of the Nawabs of Arcot, Umdat-ul-Umra. It was believed that Sultanunissa Begum was the power behind the throne in the late 1790s. She had hoped that her son would succeed Umdat-ul-Umra, however, did not get to see her dream fulfilled. 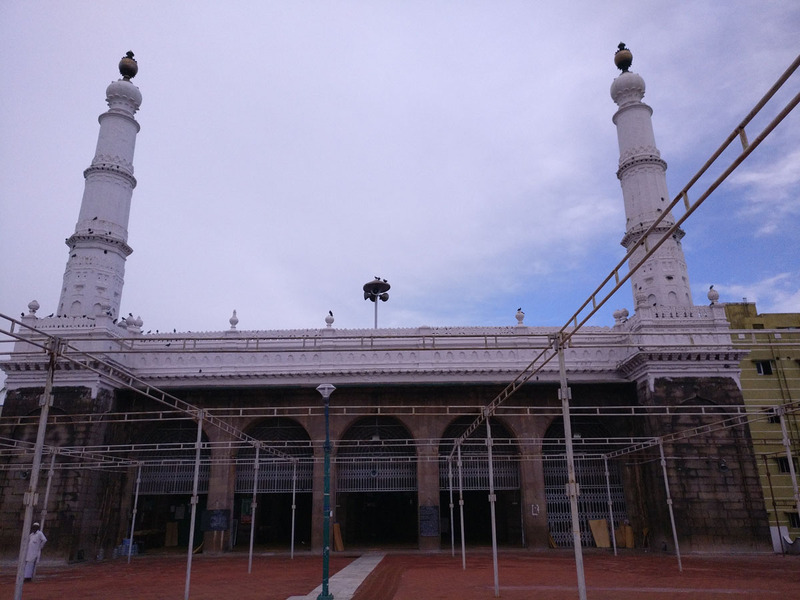 Umdat-ul-Umra wanted his own son to succeed him, and his sister, embittered by his choice, she did not even allow her brother’s coffin to be carried out through the arch near her palace, and so, a wall had to be broken to take the Nawab’s body for internment. 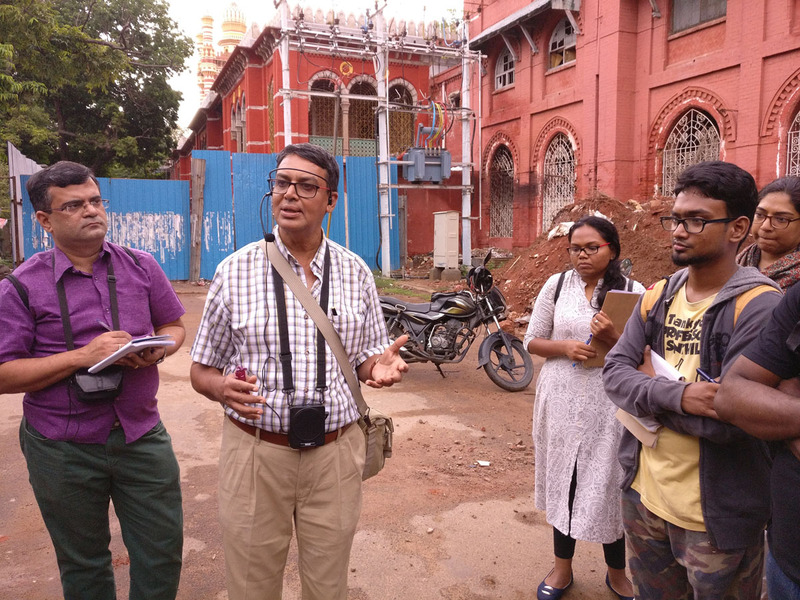 We were told by Anwar that in the Wallajah Big Mosque in Triplicane, during the Ramzan month of fasting, the Muslims to break their day-long fast get served by the Sindhi community belonging to the city-based Sufidar Trust with nonbu kanchi (porridge). 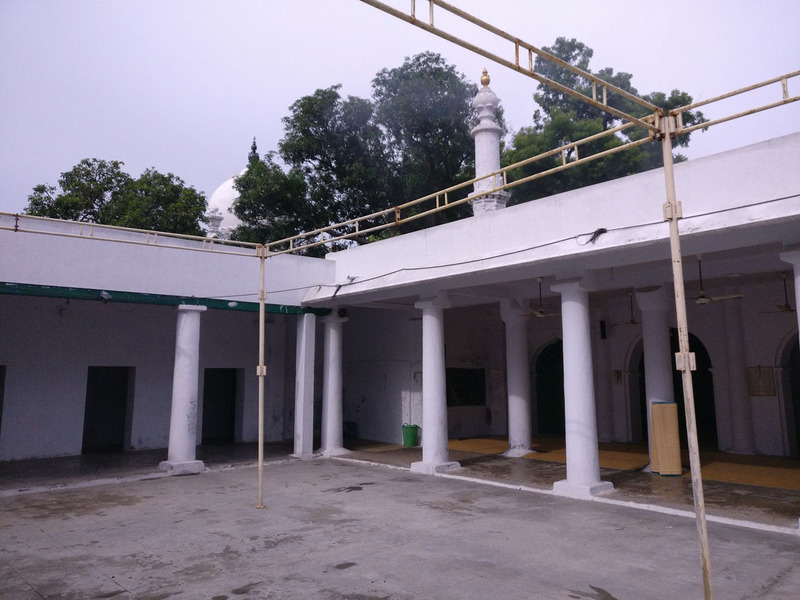 This is merely a continuation of the secular tradition of the Wallajah Mosque, established by Muhammed Ali Khan Wallajah. 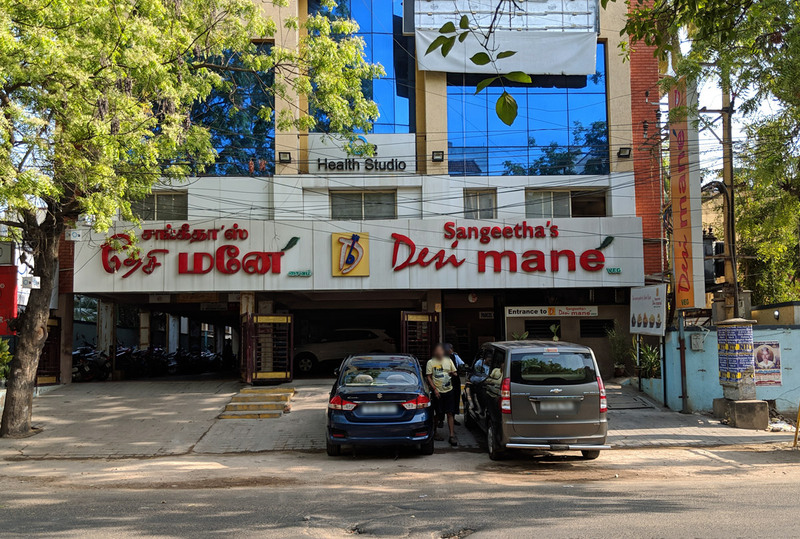 During the Nawab’s rule in the location of the present day, Triplicane Police Station (near Kalaivanar Arangam) was a langar khana, which served food to the poor, once stood. 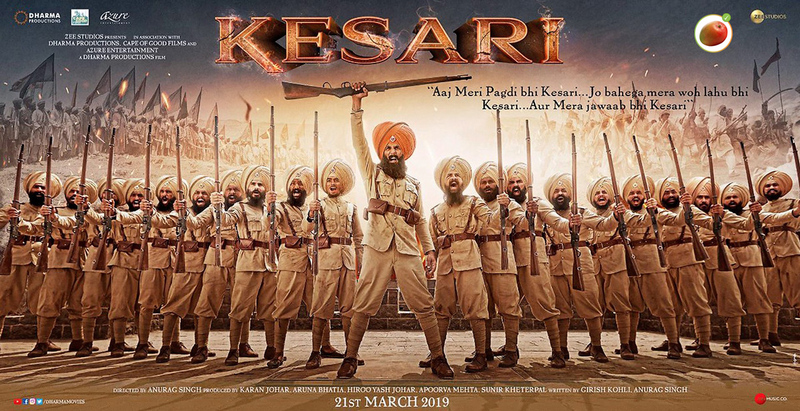 The head cook of the langar khana was always a brahmin. The Muslim community in the city itself is a diverse lot, with a mix of Tamils, Urdu speakers and others. 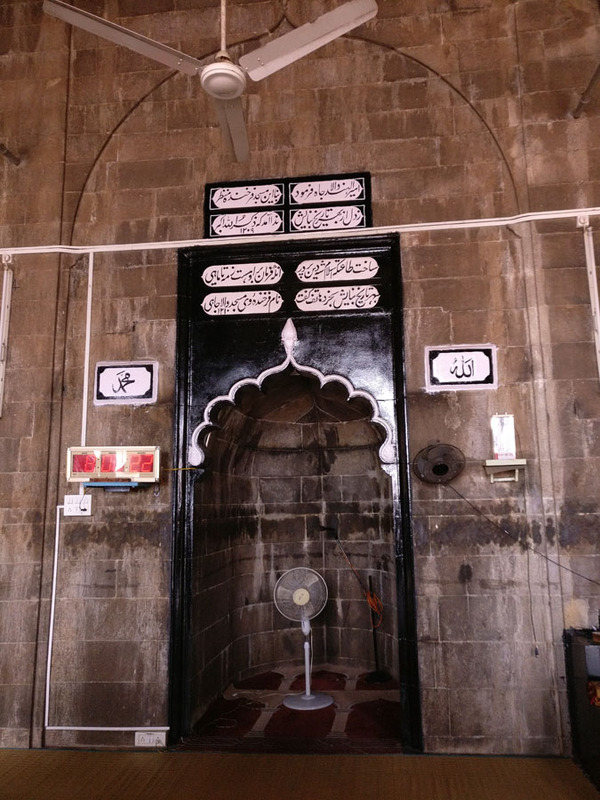 When a competition was held to select a verse to be inscribed on the mihrab (a niche in the wall of the mosque towards which the congregation faces to pray) in Wallajah Mosque, it was Rajah Makhan Lal Hirat, a Hindu whose entry was selected and still present in the mihrab. The verse was to be a Chronogram, where the numerical value assigned to each letter in the text when added, reflected the year of the event on which the chronogram is composed. Essentially the word “Chronogram” meant “time writing”. For example, the word ‘scatterer’ is year 1492 the year in which Jews were expelled from Spain. Rajah Makhan’s Chronogram, ‘Dhikrullahi Akbar’ (Remembrance of God is great) gives us the year of construction as 1209 Hijri which translates to 1794 CE. 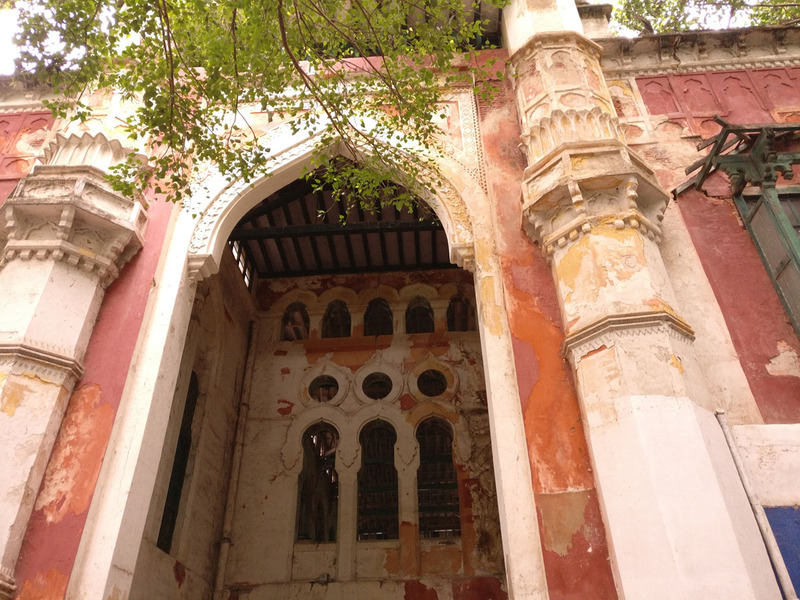 Adjacent to the Big Mosque there was a beautiful white building, which was the original Ottoman Empire’s consulate in Madras. Mohamed Badsha Sahib represented Turkish interests in Madras. He started his business on Triplicane High Road in 1812 but struck fortune in 1866 when he went on a tour of West Asia at the age of 60+. His family (Badshas) had sent money for the Hamede-Hedjaz Railway project that was intended to connect the holy cities in Arabia with Turkey. This was the railway line that the famed ‘Lawrence of Arabia’ would attack as part of the Arab revolt against the Ottoman caliphate. Next was the Masjid e Anwari Mosque in Big Street. 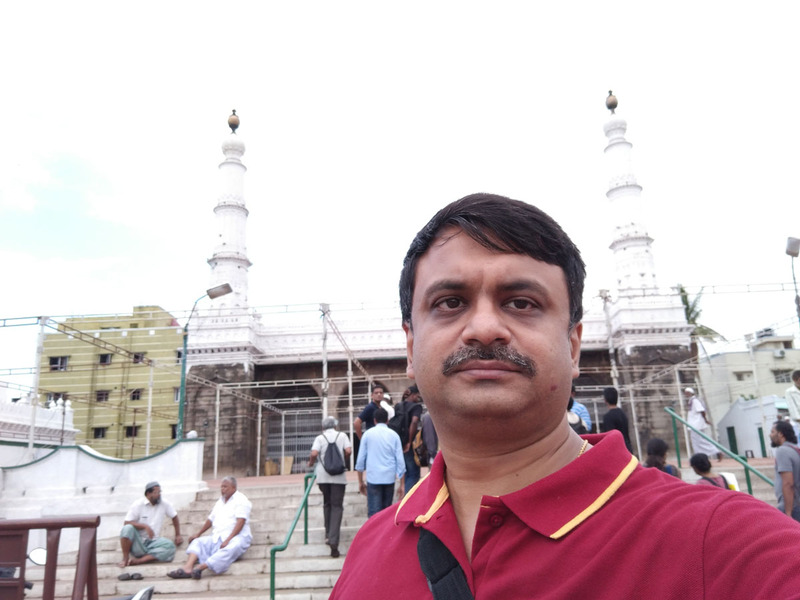 Last stop was a visit to the famous Amir Mahal, the present day residence of Prince of Arcot Nawabzada Mohammed Asif Ali. Amir Mahal has the intricately decorated Darbar Hall.